Water Golf on City Island | Par-fect Family Entertainment! Beautifully landscaped, 18 hole Miniature Golf Course is located adjacent to the Beach House on the North end of City Island. Challenging style of play Includes water hazards, sloping greens, water falls and a 60 foot walking bridge that spans two scenic bluffs. The beauty of the gentle Susquehanna River, cool summer breezes, and breathtaking sunsets will give visitors to Water Golf one of the most scenic rounds of miniature golf they have ever experienced. The Championship-style course will delight young and old alike. Both experienced golfers and novices will find each hole unique, fun-filled and exciting. Adjacent to the 13th Hole, golfers can take a breather in the Susquehanna Overlook. Rest a moment on the swings under the climbing Rose & Hydrangea Trellis or use the Courtyard Style Deck for the perfect backdrop for your photo memories of your day at City Island. From Interstate 81: Take South Front Street (Ext 66) approximately 3.5 miles to the fifth traffic light. Turn Right on to Market Street. Halfway accross the bridge, turn right onto City Island. Water Golf is located on Northern end of City Island adjacent to beach house. Call 717-232-8533 for further directions if needed. From Interstate 83: Take the Second Street/Capitol Exit, to 4th traffic light. Turn Left on to Market Street and proceed onto the bridge. Halfway accross the bridge, turn right onto City Island. Water Golf is located on Northern end of City Island adjacent to beach house. From Route 15 North: Follow Route 15 until the road comes to a "T" at the Susquehanna River. Turn right. Turn left an next "T" onto Market Street Bridge. Halfway accross the bridge, turn right onto City Island. At end of ram, turn left and drive under the bridge. Water Golf is located on Northern end of City Island adjacent to beach house. From Route 15 South: Take Route 15 to Wormleysburg. Where Route 15 turns to right, you continue straight onto Front Street, Wormleysburg. At light and "Y" intersection in road, turn left onto Markest Street Bridge. Halfway accross the bridge, turn right onto City Island. At end of ramp, turn left and drive under bridge. Water Golf is located on Northern end of City Island adjacent to beach house. From Hershey: Take 322 West to Route 83 South. Take the Second Street / Capitol Exit. At fourth light on Second Street, turn left onto Market Street, and proceed onto the bridge. Halfway accross the bridge, turn right onto City Island. 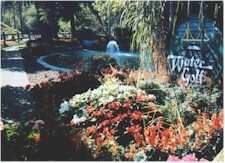 Water Golf is located on Northern end of City Island adjacent to beach house. From PA Turnpike: Take Harrisburg East Exit 247, to Route 283 West to Route 83 South. Take the Second Street / Capitol Exit. At fourth light on Second Street, turn left onto Market Street, and proceed onto the bridge. Halfway accross the bridge, turn right onto City Island. Water Golf is located on Northern end of City Island adjacent to beach house. 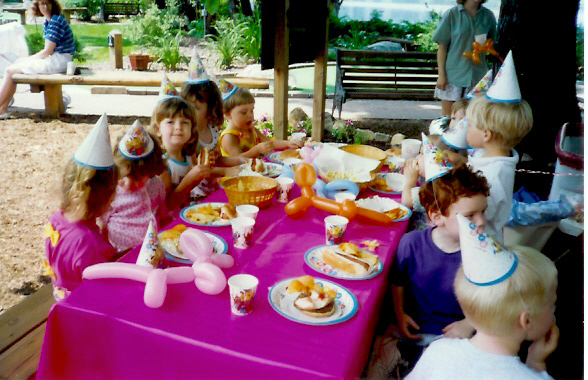 Unique Setting for Your Next Birthday Party or Summer Camp, Day Care, Church Group or Company Outing. Free Pass to Come Back Later! 48 hour advanced notice required. 6 person minimum on all plans.